Using the series by Ignatius Press, Who Am I, that is based on the writings of Pope John Paul II, the students are exposed to the teachings of the Catholic faith in an age appropriate way during daily Religion class. Children listen to gospel stories, and respond to them through songs, crafts and dramatization. They also develop a love for the Blessed Mother Mary, and experience reciting the Rosary. Children begin to understand the sacrifices Christ made for us as they experience the Stations of the Cross. 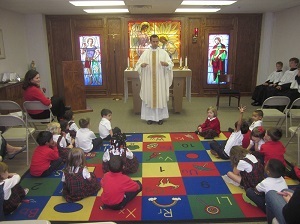 Children also visit our chapel regularly, to spend time with Christ. 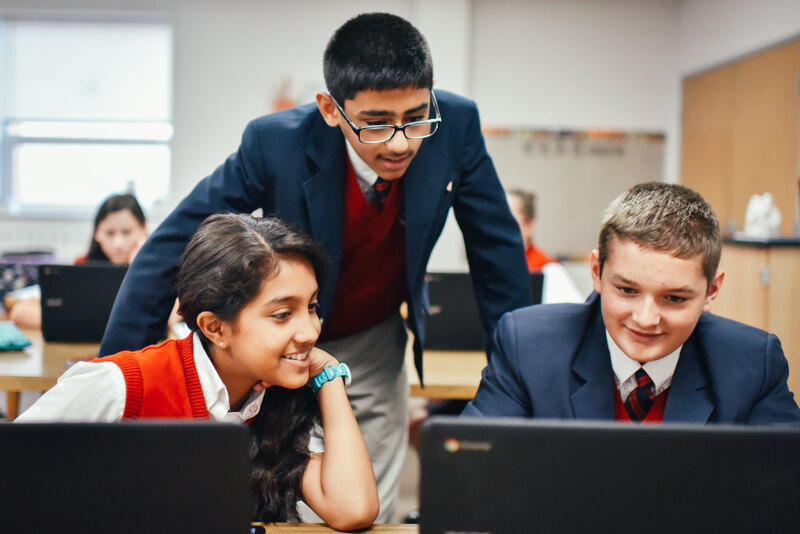 On a daily basis, students practice living as an Image of Christ. Each day, children offer prayers for friends, family and special intentions. In relationships, they ask forgiveness when they have hurt someone and forgive those who have hurt them in some way. They become familiar with speaking in a tone that expresses the love of Christ and using words that reveal Christ’s love to those around them. One student innocently called out “God!” Her response was so genuine and heartwarming.